After that we headed to the Widdler area where both Levi and Isaac got quick sends of the Widdler (see photos below). 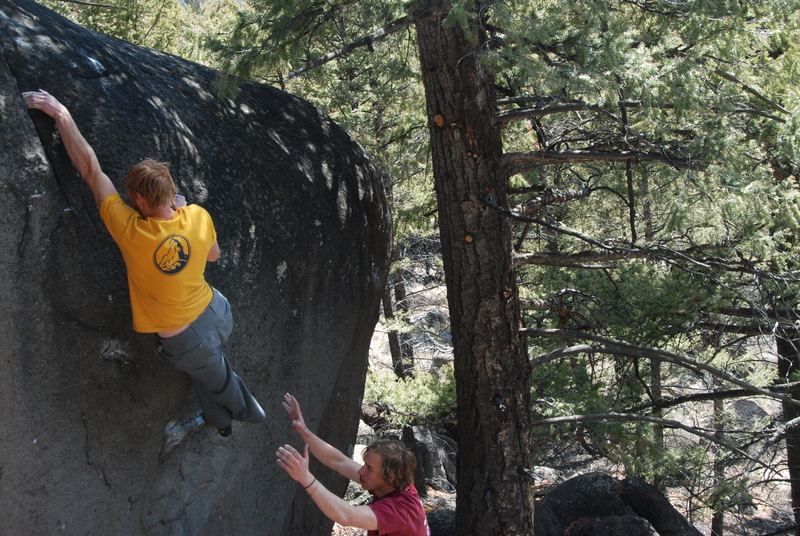 We then went to the Optimist area where we all tried a bunch of stuff, but I don’t think anyone sent anything hard besides Isaac walking up his classic slab problem Willing and Able a couple times. I managed to shake my way up a new problem that I’ve been looking at ever since I first went to the Optimist area. It’s an amazing double hand crack system about 40ft uphill and left of the Green Monster. It’s only about 12 ft of V0 climbing, but it’s right over the worst landing I’ve ever bouldered over. Lastly, Isaac and I went up to Adam’s Wall. 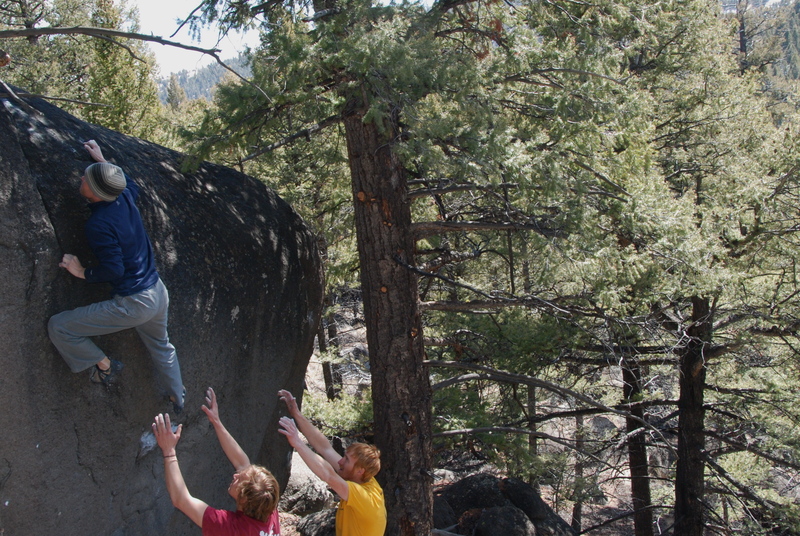 It’s a really cool move up to a horizontal crack, then a couple sketchy moves to the top. I managed to get the first moves, but I couldn’t commit to the upper moves. 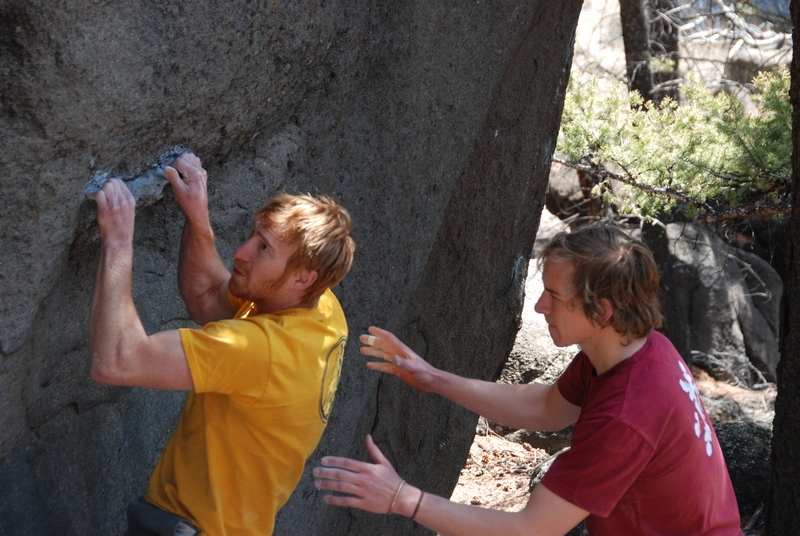 Isaac had done it before, but missed most of the good holds on his top out and made it a little harder. Instead of calling it good, he hopped right back on and sent it again in perfect style. Also, before I forget, I would like to give credit where credit is due. Jeff Ho, the local Bozeman bouldering legend, took the photo of lichen at Whiskey (with my camera) that I’ve been egregiously using on top of my website. Without his futuristic vision for lichen photography, this site would only be getting 12 hits a day instead of 14. Thanks Ho! This entry was posted in New Whiskey. Bookmark the permalink. Issac, if you do the same problem 15 times, it’s not going to inflate your ego anymore! It’s already to big, haha. Nice job on the Widdler! Classic.